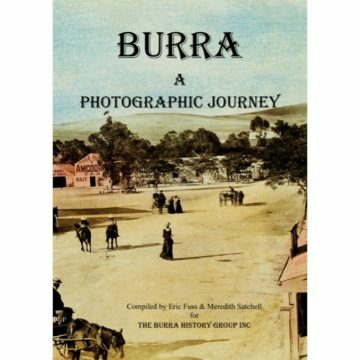 A well illustrated book, 205 b/w and 75 coloured photographs, many unpublished before, covering the considerable difficulties during the 1880s and early 1900s in establishing a shipping port on the eastern shores of Spencer Gulf at Balgowan on Yorke Peninsula for the export of bagged wheat and barley from the rich South Australian agriculture districts of Kilkerran, and to the west of Maitland. A jetty built in 1881 which couldn’t be used, a second jetty built in 1907, although not quite to plan, finally allowed Balgowan to ship out the district’s bagged grain onto the overseas ships at mainly Port Victoria and Wallaroo. Malting barley was shipped to Melbourne and Port Adelaide. 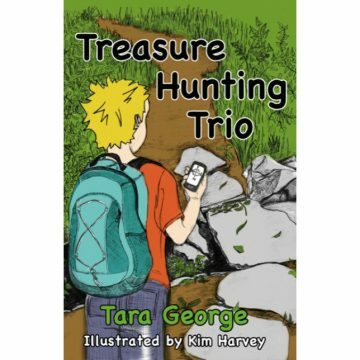 The book includes the wheat growers, the receiving and stacking sites, the Aboriginal lumpers, the shipping out of the bagged grain, the coastal vessels, the hazards in approaching Balgowan from the sea and the shipwrecks and strandings. 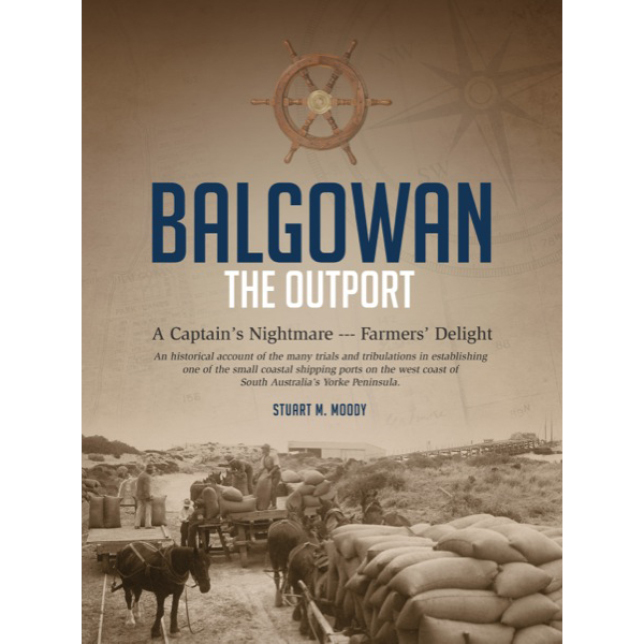 Personal contributions and memories of Balgowan during the hectic bagged grain era, give the reader an insight to Balgowan as a working outport.